Two unconventional animated features and the return of a YA dystopian saga are among the new movies in Utah theaters this week. Isao Takahata's 1991 Studio Ghibli feature Only Yesterday gets its first-ever American release, telling a lovely coming-of-age story as a woman flashes back to her fifth-grade year. The Bronze tries to find outrageous anti-heroic comedy in the story of a bitter ex-gymnast (Melissa Rauch), but isn't funny enough to overcome its basic unpleasantness. Miracles from Heaven predictably takes the faith-based approach of focusing on spiritual drama, when a family's real-world struggle with a chronic illness is much more powerful. 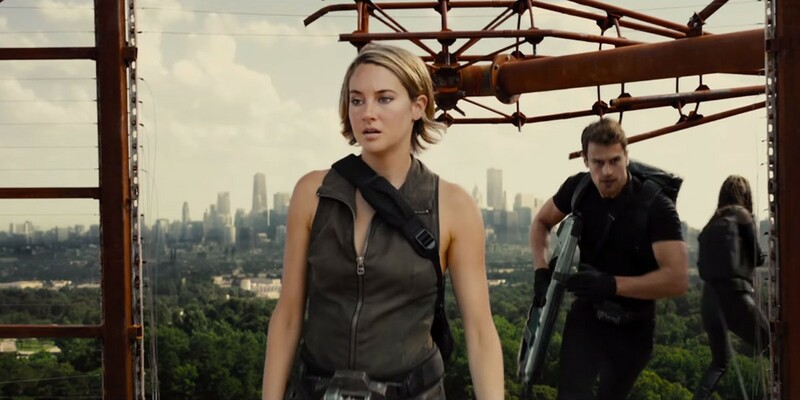 MaryAnn Johanson observes that The Divergent Series: Allegiant (pictured) marks a point where the saga's metaphor has become concrete—and a lot less interesting. The Oscar-nominated Brazilian animated feature Boy and the World tells an almost wordless child's-eye-view story full of unease and disquiet, but also magic and wonder. Andrew Wright appreciates the admirable success rate in the five-part horror anthology Southbound. In this week's feature review, Hello, My Name Is Doris effectively turns a one-joke 9-minute short into a messy but human story. Also opening this week, but not screened for press, the Bollywood comedy Kapoor and Sons finds a pair of brothers on a visit home winding up falling for the same woman.